Ride number two with the GPS Tracker attached. After changing the logging frequency to every 5 seconds, the results are much better than before with no spurious data being displayed within the log. 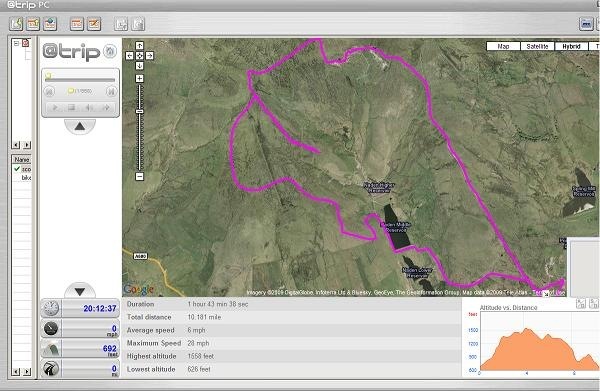 The ride took me up Rooley Moor Road, over the horrible cobbles upto Ding Quarry, after a little play around the old spoil heaps I then tracked up to the service road for the Wind Farm. 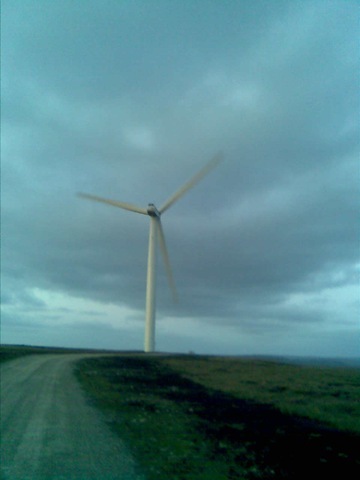 The turbines were spinning at full tilt, there is a little noise from the generator and the blades as they spin, but they’re not that intrusive. What I hadn’t factored into my ride plan was the wind. Obviously, the fast spinning blades of the turbines should have been an indicator, but until you’ve actually been up there you don’t realise how strong it is. I had to pedal downhill to make any headway!. All in all, a good ride. I need to get a new spd plate as the cleat detached again and need to get round to servicing my bike, but it was good as I didn’t struggle with the climb, nor did I get lost.. I saw this on the Maplin website and decided it would be worth giving it a try. 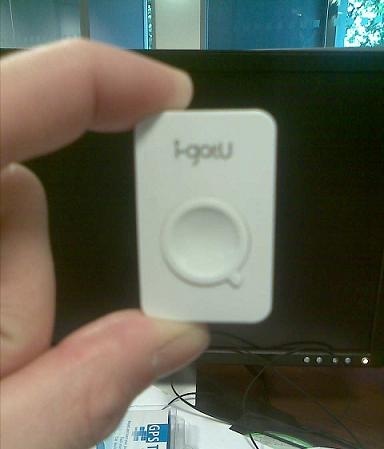 The i-gotu is a ‘GPS Travel Tracker’, it’s roughly the size of a small MP3 player and is connected to the PC via a proprietary USB connection. The device has a silicon skin to give it a degree of protection from the elements (although I found it best to fit it in the case back to front as that then covered the data connection). SiRF Star III low-power chipset. Configuration of the device is done via the PC application, you simply set the type of activity (driving, biking, running, walking) and select the logging duration, with the option to change the frequency over a configurable speed. Operation is very simple, there’s 1 button on the front that controls the operation, simple push on/off. There are two leds (one blue, one red) mounted behind the white plastic case that glow when active. The blue led illuminates blinks when logging your position. Red and Blue flashing together indicates it’s getting the gps co-ordinates. Data is downloaded to the desktop application via a wizard, again very straight forward. There is an inbuilt editor to allow the removal of any spurious entries. Logs can also be exported as .gpx for use with other applications. 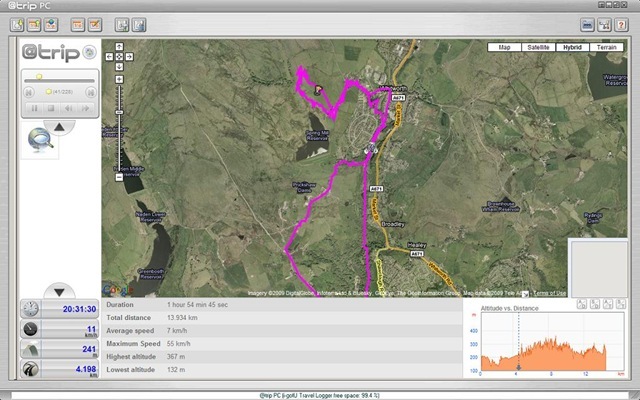 A ride player is built in, which tracks your trip on the Google Map, with relevant attributes (current speed altitude etc). Overall I think it’s an excellent unit. I’m not 100% convinced by the results I had regarding speed (max 55 k/m/h) and total ascent/descents (8000ft), but that may be down to the sampling rate of 15 seconds that I had set. I’ll do another ride with the sampling rate set to 5 seconds and see how that fares.